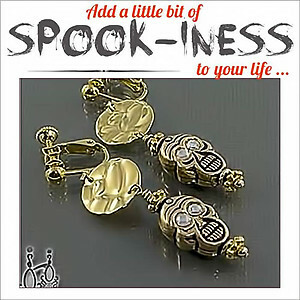 Features: Bling Funk meets edgy, feminine flair in Golden Skull Drop Clip On Earrings. The rich Gold color of the gold get a big "pop" with tiny Swarovski crystals over each eye (both front and back) creating a playful yet sultry, fun look. 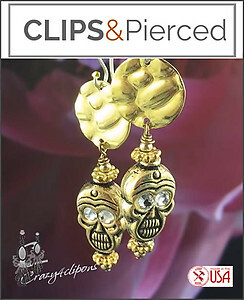 Perfect accessory to pair with your favorite black skinny jeans and black leather boots and leopard jacket .... Grrrr.